Turning your blog post into a sentence or two on social media can seem like a challenge. You might wonder if it is necessary at all. After all you have written something pretty good. Worked hard at writing it. Edited it. Surely the internet in all its glory could deliver it to the people you want to read it? It just seems like even more of a hassle to have to promote it. When blogging first started, you could just write a blog post and be fairly confident that it would be seen by the right people. Now there are so many more blogs and websites out there, you have to give your blog post a helping hand. 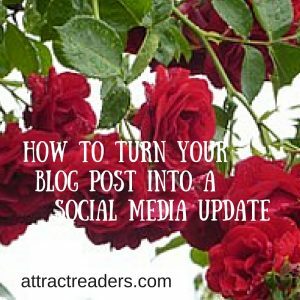 How to turn your great blog post into a social media update before you write it. When you first get the genius idea for the blog post you probably capture the idea in a few words. Write them down. (Ideally you are keeping a note of all your wonderful ideas, anyway.) But right at the outset think about the key point that you are making. Then when the post is written go back and look at your first idea and see whether it would be suitable for social media. Don’t forget that the different platforms have a different tone, and your original idea might, for example, be excellent for Linked In, but not punchy enough for twiiter. Very often you can have a great idea but when you come to write it you discover you have written something completely different. I know this happens to me! I just wanted to say that this is completely normal. 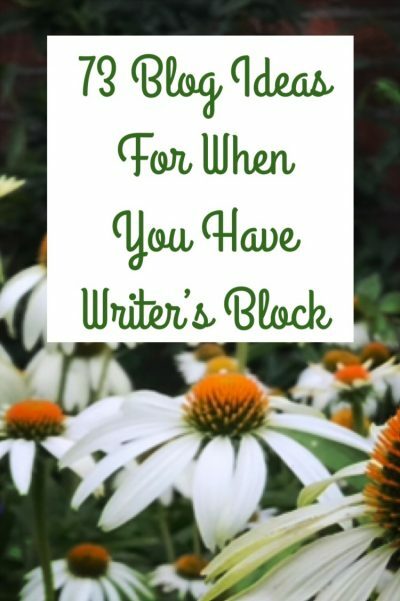 Rather than worrying about it, all it means is that the post you wrote was the one you wanted to write. Your original idea can wait for another day. Sometimes the act of writing reveals aspects that you didn’t realise you were thinking about. The Title as it is on the blog post. You can use the title of your post – as you have written it. To use the example of posts on the Attract Readers site. The title “Effortless smartphone tips for bloggers on the move” can be used exactly as it is. But you will probably want to promote it on different social media platforms – or at different times on the same platform. So you will need some variety. On some forums or social media platforms a more straightforward title could work just as well and be presented as a simple “How to” post. Use shorter sentences, and questions. 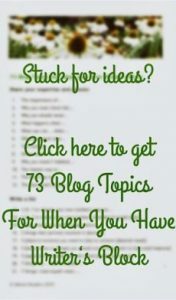 Want to blog on the move? Are you wasting time blogging at your laptop? Get more specific about the detail. Focus on the specific phone. If the post has a number of steps you can identify each in turn which will make the reader curious to know more. Use #hashtags. You can make up your own hashtags or use well-known ones. An image attached to the social media post will encourage twice as many people to read it. If you have more than one image you can use each of them in different social media updates. That way you are not just repeating yourself but making your social media updates look new and fresh even if they lead to the same blog post. Make it easy for them to click through and read. Of course the vital final point. Add the shortened url of the post so that people can click through and read it. If you use Hootsuite, Buffer or Social Oomph there is an automatic track on the number of people who click through. This is important information so you know how successful your social media post was at getting readers to your blog. So how you present your blog on social media will contribute to your success in getting it read. blogging is not just about writing the blog post any more. You have to do something like a magic trick and turn it into a social media post, too. If you feel you are not making the most of social media check out our online course “Get Your Blog Seen” which takes you step by step through social media.